ats: "This route has tolls." "This route includes a car transport." This route also involves driving through the middle of Iraq. 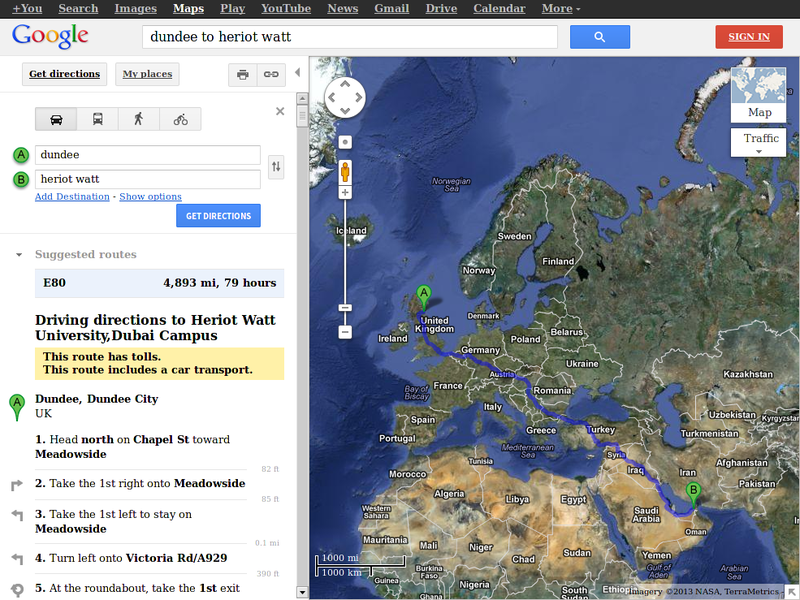 You would have thought that it might assume I mean the Heriot-Watt University in Edinburgh from context.